Monday was the first day of the Rally. I spent most of my time in seminars learning about the maintenance I should have been doing every year on the fridge and holding tanks. I bought LED replacement lights and now have replaced all but two lights with LEDs. In total we have 21 LEDs. Monday I explored a used 2009 View like ours that had some good new features but in the end decided against it. Then I found a 2013 model that looks interesting and has all the latest stuff. Mavis was not too keen on switching and I decided that there was no point until 2013 when we hope to go to Utah and maybe Northern California. The entertainment Monday night was a magician. He was wearing a suit and tie and looked pretty miserable. The best tricks were mind reading. In one he had a lady from the audience pick 16 cards at random. He then guessed everyone correctly and wrote their face values down on a spreadsheet. Each row, column and diagonal added up to 21. This afternoon there was a car show with 3 Studebakers. The most exciting moment was when a beautiful 1958** Corvette's brand new engine exploded with a bang and a great cloud of white smoke. It seems a frost plug had not been installed correctly and opened up ejecting all the antifreeze. 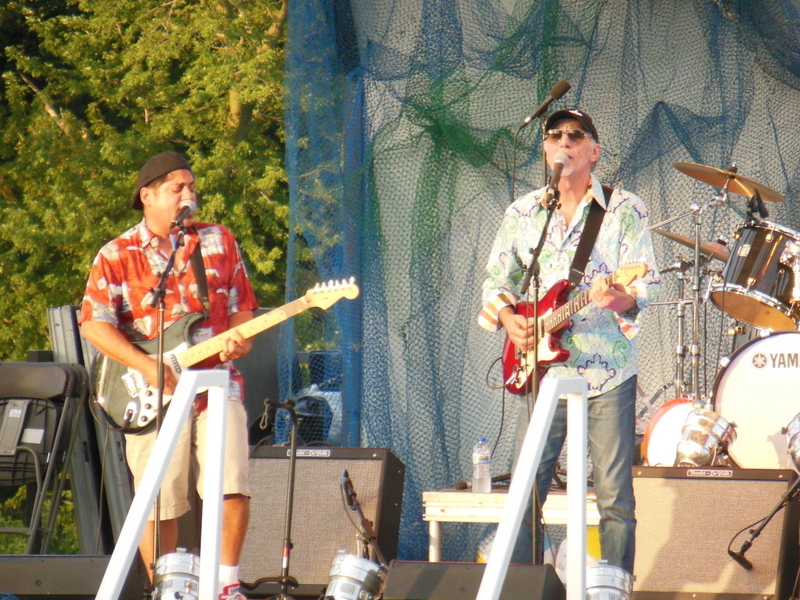 Tonight's entertainment was the Surf City Allstars a group drawn from the Beach Boys. They were very good. 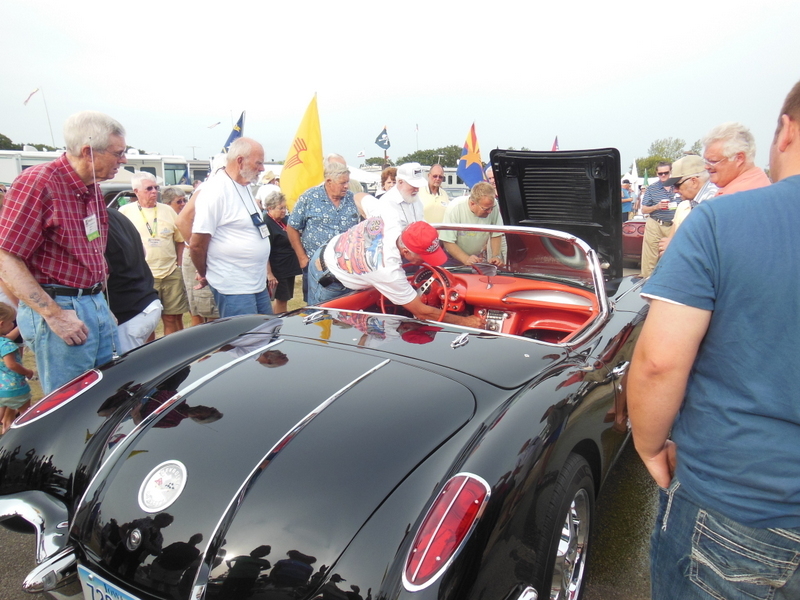 ** Corvette experts: please provide correct year if 1958 is wrong.